First i die cut a stitched rectangle from a piece of white cardstock and then i die cut the wavy border from some paper to create a stencil. 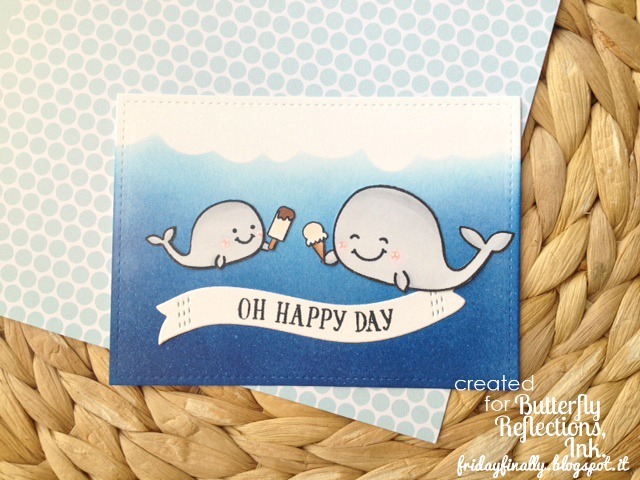 I colored my background using distress inks in the shades of Salty Ocean and Chipped Sapphire. I let everything aside to dry completely. 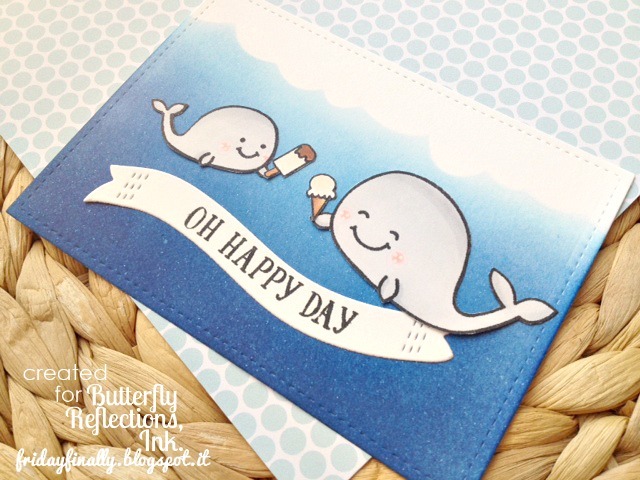 Then i stamped the cute whales and those little ice cream with Memento tuxedo black ink , i colored them with copics and i fussy cut them. If you'd like please continue to follow me on my blog and on my IG! So cute and so amazing!!! What a great way to start a Monday! This is toooo cute!! !